Cal here…recently back from shopping at the Eastern National Antique Show in Carlisle, PA and the Brimfield shows with a number of stops en route plus some eBay shopping. Despite not finding a lot of stretch glass at all these places, I do have a few new purchases which I would like to share with you because these are an indication of what is available in shows and shops. Let me say that if you missed the Eastern National Antique Show in May, you should plan to be there in November. This show is making – no, has made – a strong comeback. With new ownership, increased advertising, more dealers (sold out, with a waiting list) and fantastic merchandise (90% is glass), this is a great show for glass enthusiasts. I even found a piece of stretch glass that I didn’t have in my collection this time. 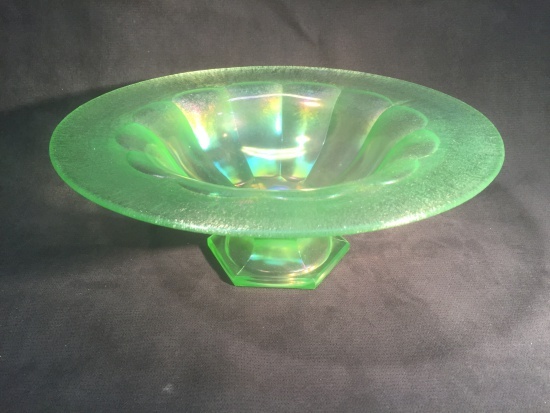 Many folks might have looked at this and said, “ah, just another stretch glass bowl” but I said, “wow, I don’t have one of those!” After 30 years of collecting stretch glass, I'm always excited to find a color of even a bowl that I don’t have. This happens to be Fenton's #550, 12 panel wide flared bowl with hex foot (see above! it's pictured in the header). Apparently Florentine Green is not a common color because I have this bowl in several other colors, but not in FG. At Brimfield a Fenton Cobalt Blue #691 ribbed vase in Royal Blue (Cobalt) was found (not by me) and at a reasonable price. Congrats to the new owner. 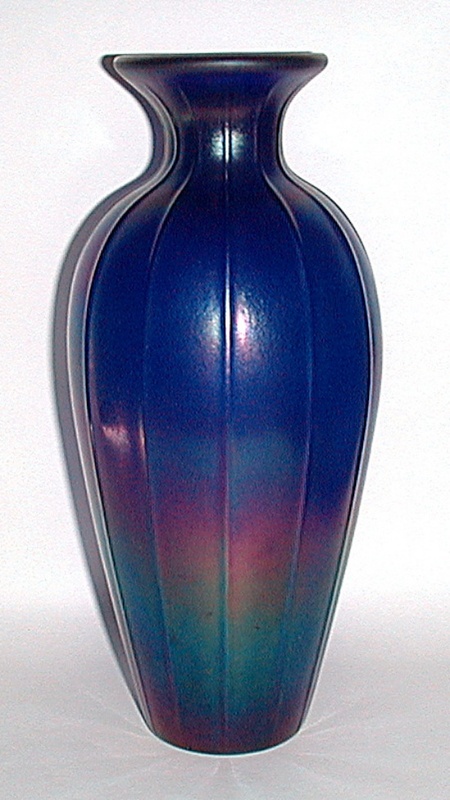 I found an unusually large Dugan vase, a forerunner of stretch glass. 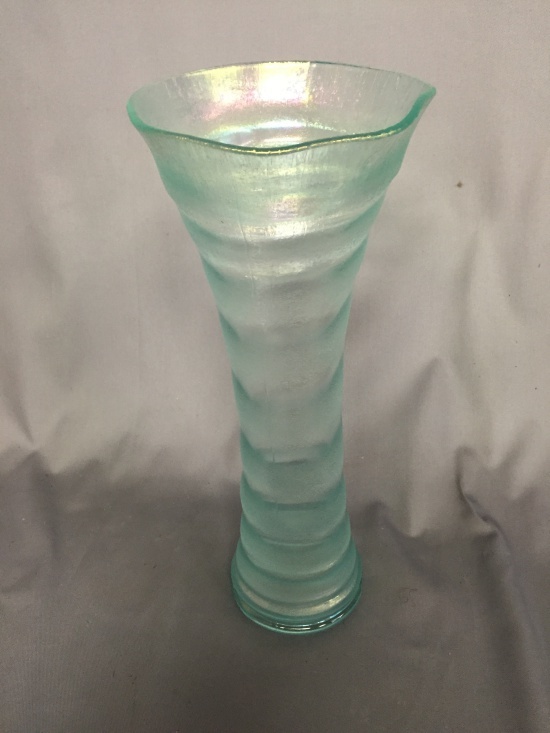 Here are a few other new acquisitions in stretch glass that I am pretty excited about, especially this Fenton swung ring optic #1531 vase in aquamarine. I've been looking for one of these for a long time and this one is a beauty. You will all be happy to know that you are rubbing off on me. 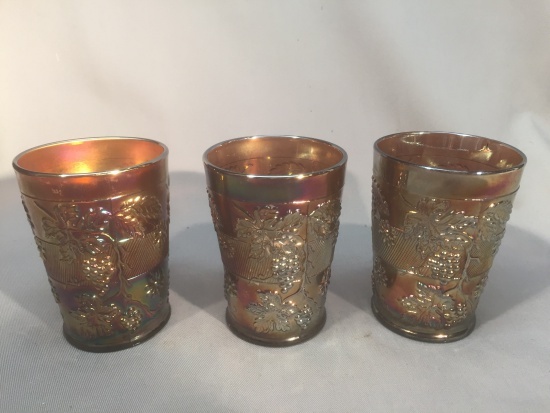 I bought more carnival at Brimfield than I did stretch glass including several tumblers and a few bowls….hopefully some of it will be of interest to carnival collectors in the future. That's it for Stretch Tuesday this week. 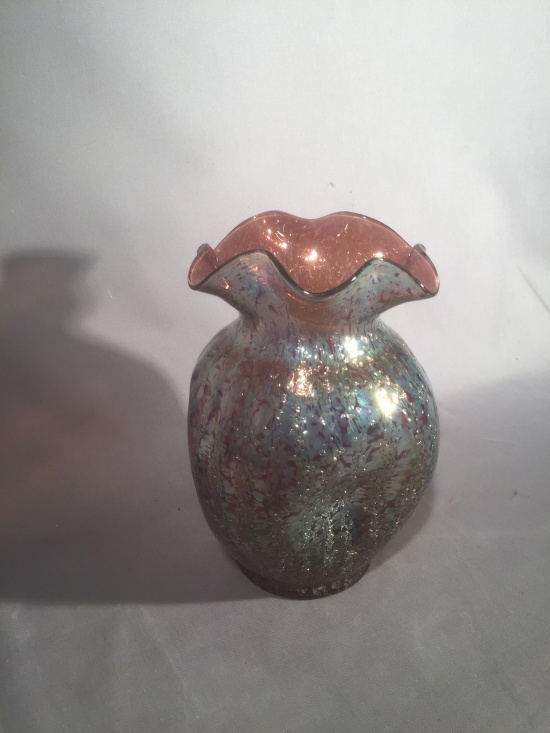 With conventions, flea markets, shows and the like happening all the time, hopefully there will be some new acquisitions of stretch glass showing up on here….please share your finds. Thanks.